For external locations where temperature falls below freezing on a regular basis ,we recommend our frost resistant pool tile. Hand painted or semi hand painted versions available for all pool tile and waterline pool liner designs. For more than 30 years the Balian Tile studio of Jerusalem has been hand painting custom ceramic pool liners and swimming pool tiles. 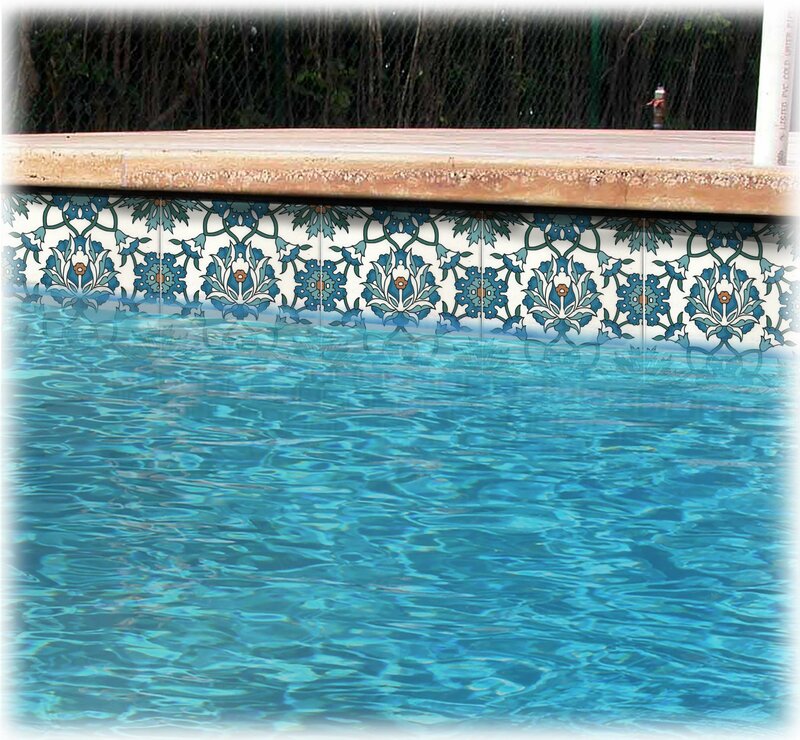 The tile designs are truly unique in their originality and quality to other decorative waterline pool tiles available on the internet. We can also do custom pool liners and waterline pool tile designs according to client specification depending on quantity of tiles ordered. We guarantee our frost resistant tiles for colder climates and recommend the regular pool tiles for climates where temperature does not fall below freezing .